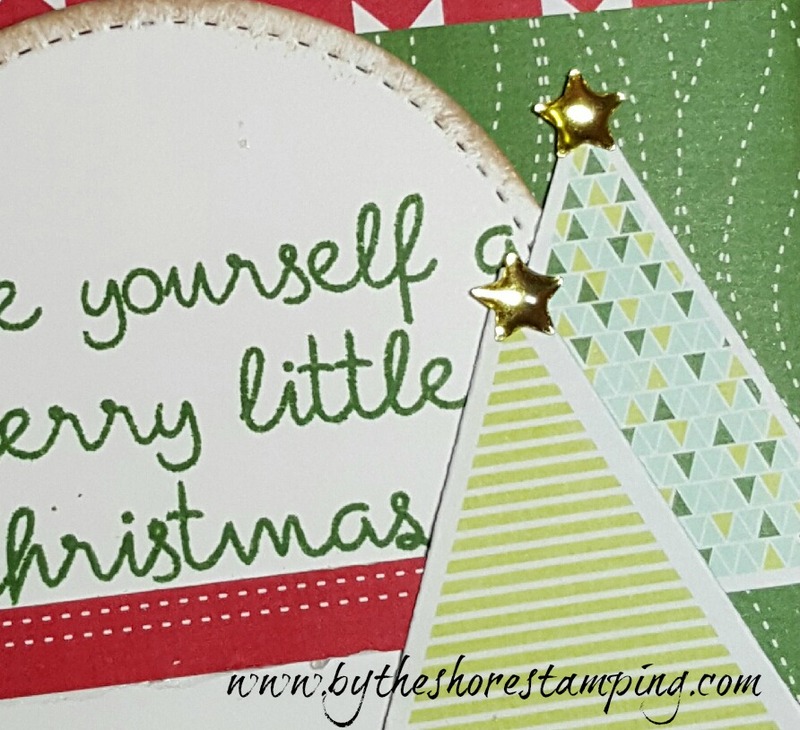 By The Shore Stamping with Jen Pitta: Fall for Holiday Countdown #11: Did Someone Say Pizza? Fall for Holiday Countdown #11: Did Someone Say Pizza? It's day #11! Can you believe it? I'm a bit late again today, but we had a Creative Escape planning meeting tonight! Yay! And between writing press releases for the Symphony this morning and designing potential make and takes and pillow gifts for Creative Escape this afternoon, I just plain ran out of time to get this project finished and emailed out! But here I am, for the 11th project featuring new product from the brand new Stampin' Up holiday catalog released on September 1. You can shop the new goodies in my online store HERE or view it in a PDF format HERE. Okay, let's talk about today's project. It's actually a continuation of yesterday's project(s) in that it still uses primarily the same products from the "You Can Make It" box on page 4 of the Holiday catalog, except that I added the adorable little pizza boxes to the mix. I envision this being the perfect little hostess gift -- maybe for Thanksgiving as then they'd have the whole holiday season to use the Christmas themed cards? But you could easily change up the paper and theme so you could gift it for any holiday, maybe using winter themed products or even Valentine's Day! In today's video I show you how to make a removable belly band. You can use this technique for all sorts of boxes, and even packets of cards. Basically anything you want to hold together, but want to be able to pull them apart, too -- without ruining your cute little decorative stamping. Don't forget to join us for the online Facebook party tomorrow night where I'll be sharing more info and giving away some prizes! Speaking of prizes, I'll be ordering those using the hostess dollars from any orders this month. So if I've inspired you to order with any of the new products, I'd love it if you used the hostess code WK7DFWJ7 at checkout. Thanks so much for following along on this crafty journey! "See" you tomorrow for one more day of fun! Those little pizza boxes are adorable! So many gifts those could be used to hold and then just make a cute belly band instead of wrapping the box. Love the idea! 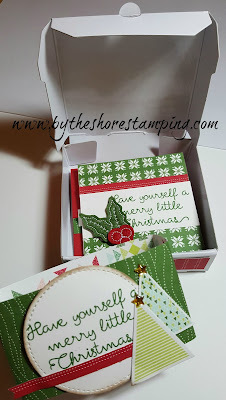 Omg, such a cute way to finish off this project by creating the adorable box for all the cards! There are so many fun themes you could do those boxes in!! Thanks for all the great inspiration! Sweet... lovin the pizza boxes... I am a sucker for anything that makes gift giving easier! might have to add these to my list! I can see using these cute little boxes for lots of gift giving occasions including shower favors! The 3x3 cards are so versatile and just as creative as a larger card. A box of all occasion cards would be perfect as a gift. Thanks for sharing all your awesome ideas these past 11 days!